They say the jumbotron puts on 10 years. The animal rights group PETA, has shown that, as always, it has its thin, trembling finger on the pulse of pop culture. It has sent a formal request to the '80s synth pop band the Pet Shop Boys requesting that the band change its name to the Rescue Shelter Boys. Why not send a letter to Skinny Puppy asking it to change its name to Well-Fed Puppy? Oh yeah, one of them is dead. 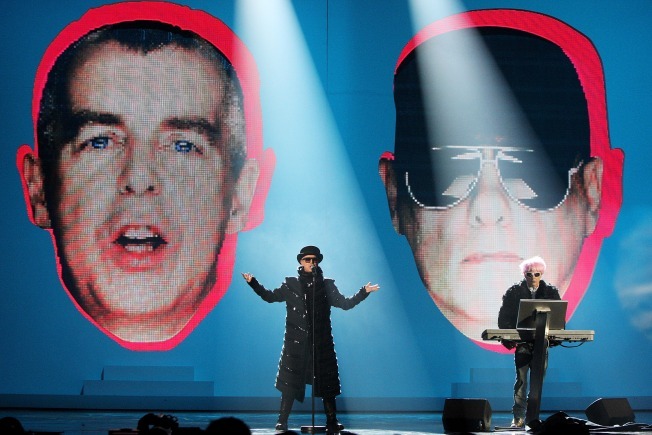 One of the Pet Shop Boys could easily be dead and nobody would know about it. This is not 1989 after all. Well, The Pet Shop Boys did just releas an album. What? You didn't know? You are not alone. The band was good natured about the request and after politely declining in an arch British accent, it dutifully posted the letter from PETA to its website and stressed that this is an important issue. As you like, lads, er codgers: Rescue Shelter Boys it is.